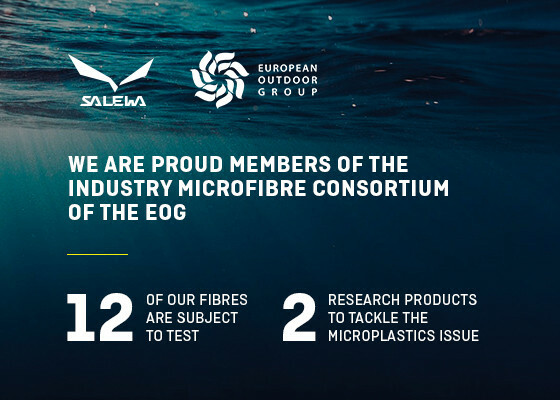 As a member of the Industry Microfibre Consortium of the European Outdoor Group (EOG), SALEWA® is actively seeking specific solutions for avoiding plastic microfibres. SALEWA® recommends using the Guppyfriend washing bag in order to capture plastic particles during the washing process. Microplastic fibres are a challenge for all clothing companies. The problem: When washing synthetic clothing, tens of thousands of plastic particles disperse into the waste water. These microplastic fibres are so small that they cannot be filtered by conventional washing machines, and sewage treatment plants are also unable to capture them, with the result that they get into the water and soil. Synthetic fibres currently account for around 60 percent of global textile production. 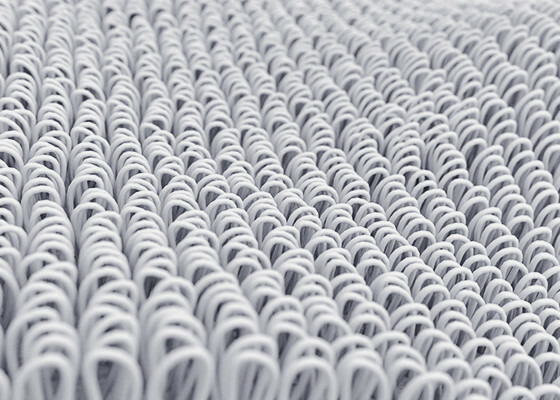 In many of our technical products, we also handle nylon and polyester fibres. Therefore, we consider it to be one of our major challenges to reduce microplastic fibre pollution. Fortunately, we are not alone. The consequences of this problem have already been recognised by the entire industry. - As a member of the Outdoor Industry Microfibre Consortium within the European Outdoor Group (EOG), we are actively seeking concrete solutions. We have submitted twelve of our fibres for testing purposes and thus we are participating in two of the EOG Industry Microfibre Consortium research projects. One of these projects focuses on polymers, fibres and yarns as starting materials, while the other deals with finished fabric structures and garments. The aim is to find answers to three questions in particular: How many microparticles are actually washed out of the fabrics? How does this process happen? Which substances cause the greatest problems?